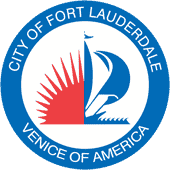 The Council of Fort Lauderdale Civic Associations is a coalition of homeowner and civic associations in Fort Lauderdale. We have been following the progress of various transportation projects along the Florida East Coast Railroad. We understand that the All Aboard Florida Project will increase the number of trains transiting through Fort Lauderdale and facilitate even additional train traffic with the introduction of commuter rail service in the future and increased freight train traffic associated with improvements at Port Everglades. The Council is devoted to maintaining and improving the quality of life for our residents. Mass transit improvements will increase mobility, reduce congestion, create jobs and protect the environment. These are all worthy goals that we endorse. However, every project has consequences and the Environmental Impact Statement must identity these consequences and possible mitigation actions. Based on input from our members at various meetings there are a number of issues that must be addressed in the scoping of the Environmental Impact Statement (EIS) for the project. 1. As the increased train traffic passes through Fort Lauderdale and adjacent to residential neighborhoods the noise impacts must be addressed. We understand that “quiet zones” have been discussed to mitigate this impact but have no information regarding their effectiveness or cost. The EIS should consider the cost of implementing “quiet zones”, who will pay for them and maintain them? 2. As increased train traffic passes through Fort Lauderdale there will be and increase in the wait time at the grade crossings. What will the impact be on emergency service vehicles, police and fire services? Does the City have sufficient infrastructure located on both sides of the tracks to handle these issues or will an interruption of services cause harm to the public. 3. As increased train traffic passes through Fort Lauderdale, what provisions are being made to protect pedestrians and motorists from accidents at railroad crossing? 4. As increased train traffic passes through Fort Lauderdale, recreational boaters living in western neighborhoods will experience significant and potentially dangerous delays at the railroad bridge across the New River. What provisions are proposed to deal with this issue? With all of these issues, the EIS should address the responsibility of the private operator to contribute to the cost of mitigation. Also what level of government, Federal, State, County or Local will be responsible for implementing and funding the mitigation? There should also be consideration of impacts associated with other projects that are likely to be facilitated by All Aboard Florida. Consideration of these issues is imperative. We hope that the EIS will provide definitive answers to these questions.